Want to build a strong driving job? Protein-power your job by joining JBS. As the transportation arm of the world's leading meat processor, our truck drivers help feed America and enjoy the strength that comes with it. Regional runs cover a multitude of states throughout the US. Dedicated runs include fleets dedicated to our Chicken, Pork & Beef plants. Specialized runs include cattle haul and hide haul routes. We've got the perfect solution. 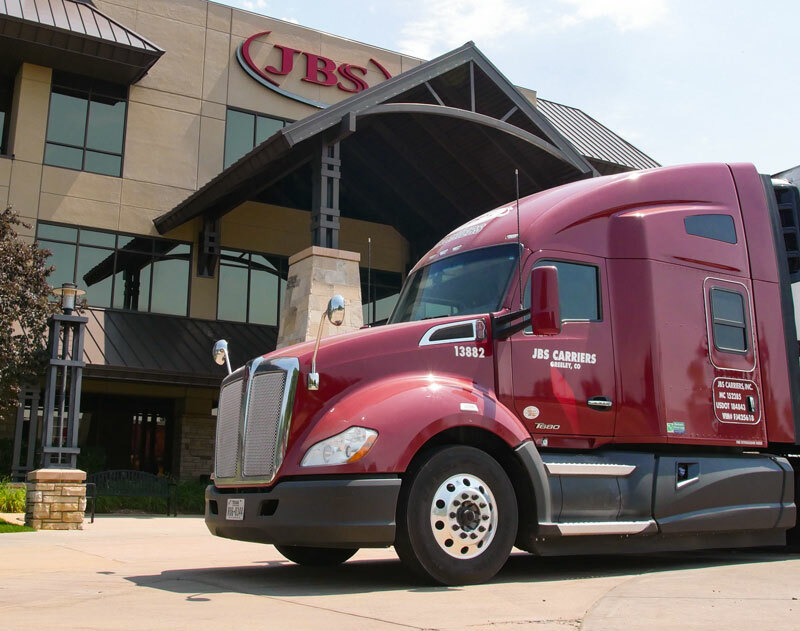 JBS Carriers is the driving force behind JBS USA, which is the world's largest animal protein company. We have a fleet of over 700 trucks and 800 employees. We deliver refrigerated and non-refrigerated freight to the lower forty-eight states.